We’re halfway through the year, folks! We hope it has been a productive and successful six months for all our readers—but if not, the year is still far from over. In the June issue, we have a heap of news, tips and information to help you on your self-publishing journey. 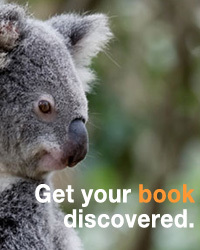 In our ‘Self-publishing Essentials’ series this month, author Ellie Marney looks at how to harness the power of crowdfunding to help produce your book, while YA author Beau Kondos speaks with us about how self-publishing gave him the opportunity to write the book he always wanted to read, in our ‘Author Spotlight‘. Have you ever thought about selling your book at a fan convention? We interviewed three authors who did just that at this year’s Supernova Comic-Con at the Gold Coast, Queensland. Read all about it in ‘Selling books at Comic-Con: The self-publisher perspective’. And for even more interesting ways to get your book in front of readers, check out Claire Bradshaw’s tips in her column, ‘5 fresh ideas for promoting an indie book’.